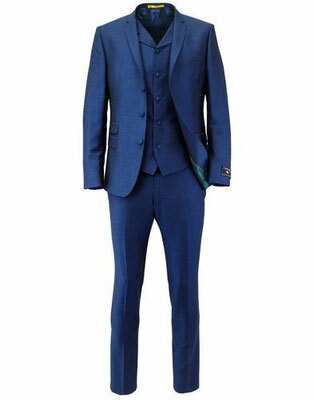 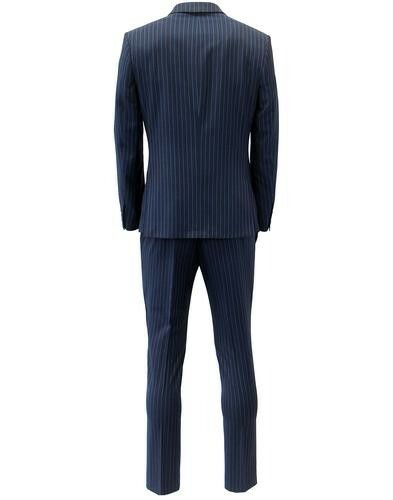 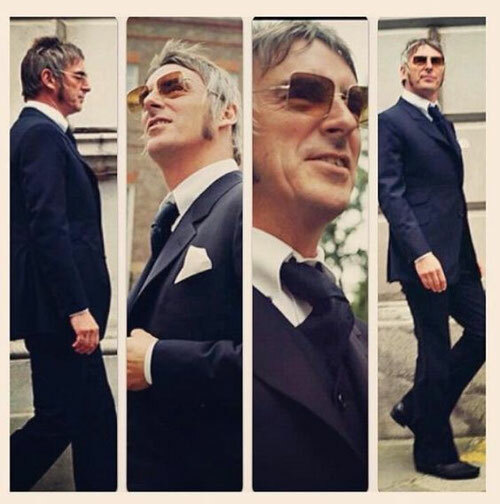 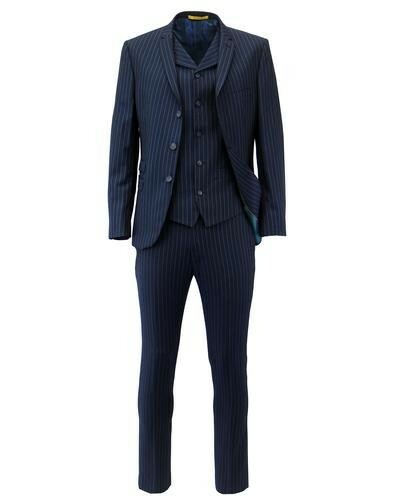 ・Navy Mod Suit with Electric Blue Pinstripe. 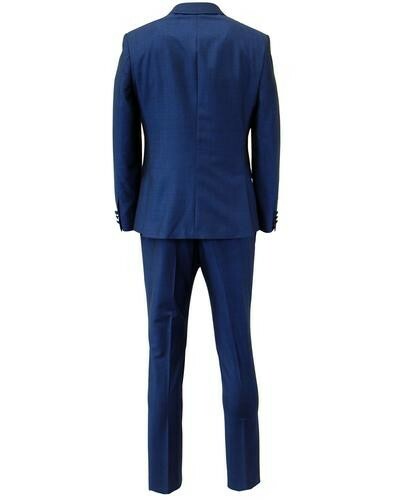 ・Three button fasten jacket with ticket pocket, slim lapels and contrast lining. 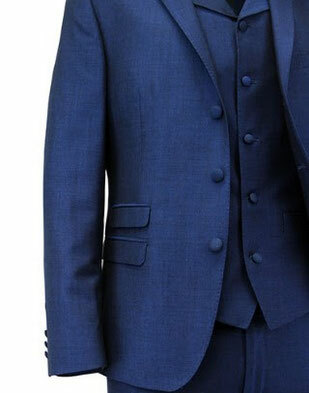 ・Covered buttons and contrast lining. 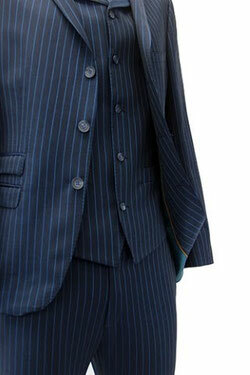 ・Optional lapel waistcoat to match.